When I set it out to curate a list of the top 21 sales podcasts for 2019, I had two motivating forces in mind. Sales professionals, the same as any other profession such as doctors, lawyers, bankers, accountants, supply chain experts, professional athletes, you name it…We all need to be in a continuous learning mode or we will eventually become irrelevant. The buyer is better at buying than the seller is at selling. And, therefore that means sellers are at a disadvantage. Podcasts are an awesome way to contribute to continuous learning for any sales professional. Frankly, there is no excuse for salespeople to not listen to podcasts because it’s a passive listening activity. If you’re already a podcast listener, you probably have some routine activities during which time you tune into your favorite podcasts. For me, it’s at the gym and also by connecting my iPhone to my car radio through Bluetooth enabling me to listen while I’m driving. I’ve heard others say they listen to podcasts while walking the dog, jogging, vacuuming the living room, even while doing the dishes. However, you choose to listen, the point is that podcast content is as easy as it gets to contribute to your continuous learning to get better at being the modern seller the modern buyer demands. 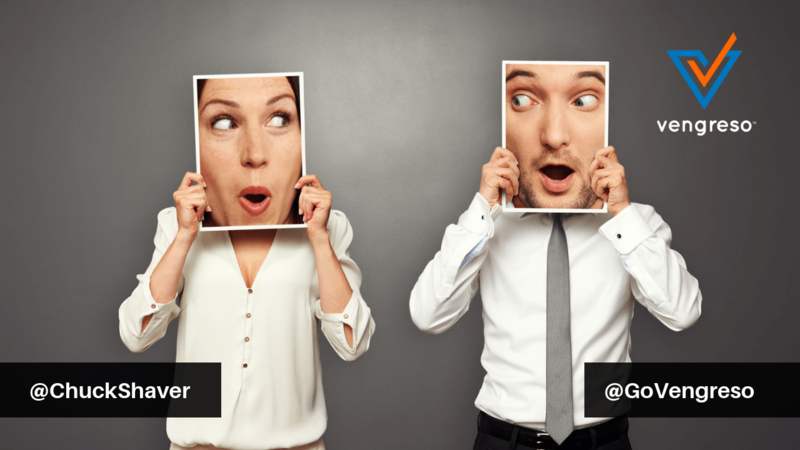 To be an effective modern selling professional, you must be an effective listener. This is easier said than done considering that we are attacked by distractions all day long. How do you practice the art and science of listening, so you can be a better sales professional? Give this a try….Listen to a podcast while you’re doing a passive activity such as going on a walk…Then, when you have five minutes of focus time, write down at least one key take away from the podcast. Consider journaling this for cumulative continuous learning. You’ll find yourself evaluating your listening skills and striving to improve them. And, you’ll carry this skill over to your sales conversations. It’s hard enough to reach qualified buyers to have sales conversations. It’s critical that when you have them, you are at the top of your game with strong listening skills. With these two motivations in mind, I offer you a list of 21 sales podcasts for your continuous learning and listening skills development. Whether you’re new to the sales profession or you’ve been closing deals for decades, it’s critical to stay at the top of your game. These 21 podcasts are produced by some of the most respected expert sales leaders in the industry sharing their latest sales best practice insights. Without further ado check out my curated list of sales podcasts for your playlist in 2019. Struggling to get your sales and marketing teams on the same track? Listen to The Alignment Podcast with Jeff Davis to find out how your teams can work together to drive more revenue. This conversation-based podcast is ideal for business to business (B2B) executives. Ready for explosive business growth? Join host James Carbary on B2B Growth as he discusses marketing strategy, marketing technology, agile marketing, and other cutting-edge topics with B2B marketing experts. Shake up your sales strategy with insights from Bonnie D. Graham’s Coffee Break with Game-Changers podcast. Grab a seat at the coffee table and get the scoop on disruptive technologies, opportunities to scale, and new ways to transform your sales process. On his In the Arena podcast, host Anthony Iannarino shares everything he’s learned on the road to becoming a successful sales professional. Listen to his interviews with top sales experts to get inspired to move the needle in your own business. Achieving success as a startup founder isn’t always easy, but the LTV podcast helps you tackle the toughest aspects. Host Kyle Racki, founder of Proposify, talks sales, funding, company culture, and many more startup topics. Steve Benson, Founder and CEO of Badger Maps, got his start at Google and has learned invaluable lessons as an entrepreneur. Listen to his Outsides Sales Talk podcast as he shares advice and interviews other outside sales experts. 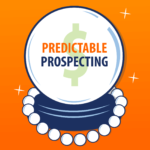 Marylou Tyler is a lead generation machine, and her Predictable Prospecting Podcast has the tools you need to follow in her footsteps. Tune in for tips on sales automation, customer-centered sales, analytics assessment, and more. 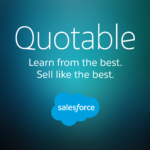 For the best cutting-edge sales tips, look no further than The Quotable Podcast from Salesforce. Find out how to train your team, how to shape the buyer’s journey, why focusing on outcomes is key, and much more. In today’s digitally disrupted world, traditional sales tactics don’t always get results. Join host Barbara Giamanco on The Razor’s Edge podcast to learn about new rules and strategies for driving sales online and offline. As the premier community for modern sales pros, Sales Hacker offers high-level insights from the industry’s top thought leaders. The Sales Hacker Podcast with Sam Jacobs features invaluable advice for veteran and new sales professionals alike. On the Sales Paradise podcast, excelling in the sales world doesn’t have to be a grind. Find out how to do better in business while making time for what you love. As The Sales Whisperer, Wes Schaeffer is a master of inbound marketing and sales. Tune in to The Sales Podcast to learn how to align top technology with high-performing sales strategies. 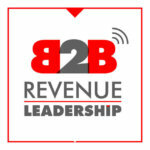 Brian Burns interviews experienced B2B sales leaders on his B2B Revenue Leadership podcast. Tune in to hear firsthand from accomplished sales leaders driving B2B revenue. With his Sales Reinvented Podcast, host Paul Watts aims to recast sales in a savvy new light. Through interviews with experienced professionals, he explores how to do sales differently. 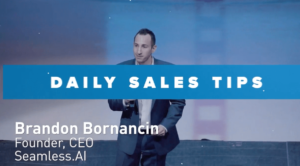 Serial entrepreneur, founder and CEO of Seamless.AI Brandon Bornancin delivers his personalized and sometimes controversial Daily Sales Tips on his video podcast which he publishes daily on his LinkedIn profile. 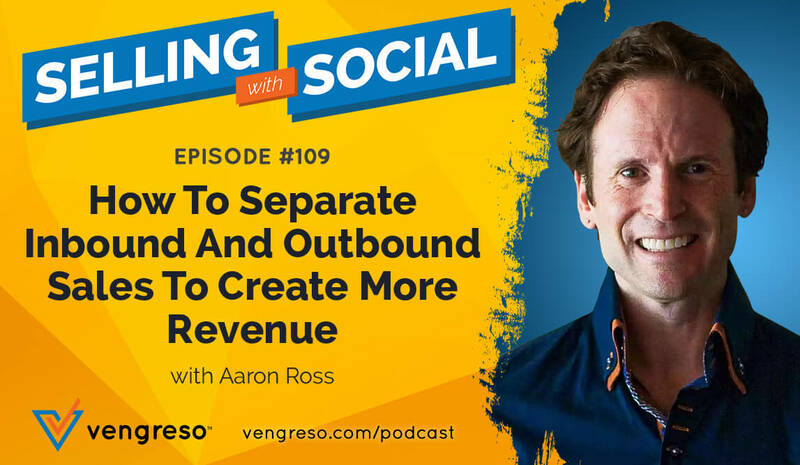 This podcast will challenge your thinking while delivering sales tips you can use to make your number. If you rely on your gut to hit your sales numbers, Sales Secrets can help you think about sales strategy in an entirely new way. This podcast teaches you to combine intuition with data for optimal results. Join the Sales Benchmark Index team to learn about the latest developments in sales and marketing. Listen to The SBI Podcast to glean tried-and-true tactics for making your sales numbers every quarter without fail. Mastering sales is both an art and a science, and hosts Jeffrey Gitomer and Jennifer Gluckow explore both sides in the Sell or Die Podcast. Tune in to hear insightful interviews with experts in sales, marketing, personal development, and more. Selling With Social – Mario Martinez, Jr.
With his “don’t do normal” strategies for growing sales pipelines, sales expert and top-rated digital selling evangelist Mario Martinez Jr. is here to help businesses of all sizes grow. Tune in to his Selling With Social podcast to find out how entrepreneurs, small business owners, sales leaders and sales professionals connect technology, tactics, and motivational thoughts to overachieve. Innovation is essential for driving sales, and Tiffani Bova’s What’s Next! podcast has the keys to growth. Tune in to this keynote speaker and “Harvard Business Review” contributor to find out how your business can stay ahead of the competition. Building a successful business isn’t easy, but Tom Ziglar, son of renowned motivator Zig Ziglar, knows a little something about making progress. 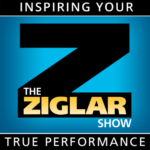 Join Ziglar and co-host Kevin Miller on The Ziglar Show to find out how to take your business from zero to hero. If anyone knows how to scale, it’s Reid Hoffman, Silicon Valley investor and entrepreneur. Tune in to his Masters of Scale podcast to hear fascinating stories from the founders of some of today’s fastest growing companies. 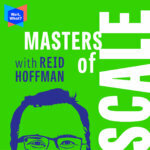 Whether you’re in sales, sales leadership or you’re an entrepreneur, Reid Hoffman’s Masters of Scale podcast will inspire you to take your game to the next level. 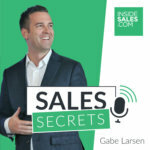 This list of sales podcasts deliver tried-and-true sales secrets and social selling tips, insights and strategies to help you level up your sales skills throughout 2019.